When it comes to entering the MENA market, it is important that you consider the implications of reaching out to a new audience that has a different culture, language and beliefs. If you want your business to reach a new audience in a successful way, then you are going to need to ensure that your website resonates with your new audience. You need to target your audience in a way that makes it possible for them to understand your brand, your message as well as the services or products you are offering. Your website is a vital marketing tool for your business. When you enter a new market, you have to make sure that your website aligns itself with your chosen market in the right way. 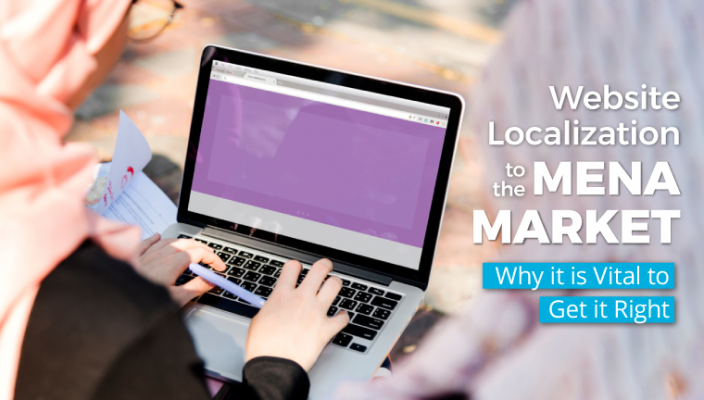 The MENA market works in a different way to the western market and that is where localization can help you to enter this new market in an efficient and streamline way. To begin with, the content will need to be translated into Arabic but this is just the beginning. Localization has a broader meaning and that means that it considers every aspect of your website. It takes into consideration the user interface, images, colours, symbols, cultural adaptations and even small, yet vital changes such as the date and time. It has been identified that localization is an important part of the process of entering a new market in the MENA regions. However, there are different forms of Arabic languages to consider and this is where translation and a greater understanding of Arabic languages is so important. There are forms of the Arabic language to think about and this includes the likes of Classical Arabic known as Qur’anic or Modern Standard Arabic known as dialectal Arabic. So, with this in mind, it is simply not a case of translating into general Arabic as that will not work. Businesses will need to work closely with their localization experts and determine which MENA regions they plan to enter, so the language can be altered accordingly. You need to make sure that your website readability is good and more importantly, it reaches out in the right way. Therefore, you can opt to use a CMS Translation Connector. This will make it possible for you to work closely with your partner like Torjoman, enabling you to send content that requires localization without the need for it to be removed from the system. This provides you with control over the specific content or pages that require localization. This will ensure that the font, images, the design, the message and all content are altered and amended so that it works in your chosen market. When you choose to move your business into MENA countries, your website will have to be adapted in a way that takes into consideration a wide range of aspects. This will include the design, look and feel of the user interface so that it can be understood, readable and used in the correct way. It is particularly important that the user is provided with a browsing experience that allows them to find exactly what they are looking for. It will also have to include alterations to currencies as well as the payment methods accepted in that country.Arab countries cover a vast geographical area and wth that comes a number of currencies and this includes the likes of Dirhams, Pounds and Riyal. With so many currencies, it highlights just how important localization really is as it will ensure that businesses can flourish and make the purchasing process simple and efficient for customers. Many Arabic countries also use different time formats along with calendars and these will all have to be altered to reflect the requirements for the specific regions. MENA regions have a different way of living when compared to other markets in the world. This is where localization has to consider the design aspect of your website, the way it reads as they read from right to left including images, fonts and all rules surrounding gender, sexuality, politics and even food. Along with this, your website will have to adhere to all laws and regulations to ensure that it can be viewed from your chosen regions while you will also have to consider payment methods and currencies. It is important that you remember that your website is available 24 hours a day and so, you will also need to consider local customer service including the time difference. If you choose to try and save money by using free translation tools then you will more than likely be on the path to failure. These tools are basic and they very rarely work but even if they did work, you need a lot more than just translation. Localization goes deeper than this. It covers translation but it also covers imagery, slang, the format and any other aspects that need to be considered for the Arabic market including text reading from right to left. This is where you need to call on the services of Torjoman who can deliver a localization service that ensures every aspect of your needs are covered.